The mainstream media – the form of Fairfax’s stuff.co.nz – has picked up on the response to the IPONZ draft guidelines on patentability of computer programs, on which we reported last week (see Stakeholders Say ‘No’ to NZ Computer Program Exclusion). However, submitters said the approach would not work because the guidelines would have no legal standing in the courts, which could only rely on the actual wording of legislation. The Institute of Patent Attorneys said there was a "disconnect" between the Patents Bill and the intentions of the select committee which could not be papered over by the guidelines. The Law Society said it was up to MPs, not officials, to set out what the law was supposed to mean. Fisher & Paykel Appliances said it feared the upshot would be that it would end up on the losing end of a court battle with one of its "foreign competitors". It could file patents, relying on the guidelines, only to have them challenged by competitors and overturned by the courts. Shortly before the release of the submissions, however, New Zealand minister for Commerce, Simon Power, was holding firm on his earlier line, confirming in writing to law and technology blogger Guy Burgess that his opposition to the granting of patents for computer programs, and opinion that any further amendment to the computer program exclusion was ‘neither desirable nor necessary’, remains his position in the issue. WILL USPTO FEE DIVERSION ISSUE KILL PATENT REFORM? If there was one thing that almost everyone seemed to agree on in the proposed reforms to the US patent laws – widely expected to go before the House of Representatives this week – it was the grant of power to the US Patent and Trademark Office (USPTO) to set its own fees, retain the funds collected, and manage its own budget. Fee diversion has been going on for years. Users of the US system (i.e. US and foreign applicants and rights-holders) pay fees in exchange for the services provided by the USPTO. But the PTO’s budget is capped by Congress, and any excess fees collected are diverted to Treasury to be spent on programs that may or may not serve the interests of the fee-paying customers who are funding them. We have seen reports suggesting that in the past two decades over US$1bn in PTO fees have been redirected, while examination backlogs have grown, and IT systems in the USPTO have become increasingly outdated. The last-minute senior opposition to fee retention reportedly delayed debate on the proposed patent reform Act last week. Meanwhile, an alleged ‘compromise’ provision was leaked, about which you can read in David Boundy’s article on the Patent Docs blog. It has not escaped our notice that opposition to patent reform (most notably the proposed change from first-to-invent to first-inventor-to-file) makes strange bedfellows, and while Boundy and others are undoubtedly opposed to fee redirection, we doubt that many would care enough to mount a further campaign against reform based on the fee diversion issue were it not for the opportunity to kill the other reforms that they really hate! We are not surprised, however. Politics is a dirty game, which causes even the most noble souls to compromise their principles (just ask Peter Garrett). The Australian Innovation Minister, Senator Kim Carr, recently announced the government’s response to reports by the Advisory Council on Intellectual Property (ACIP) into the enforcement of plant breeder’s rights, and the post-grant enforcement of patent rights. Although the government’s response to the patent enforcement report includes many ‘accepted’ and ‘accepted in part’, these do not really amount to much. The government supports IP Australia providing various information resources to rights-holders, and maintaining a watching brief on the effectiveness of opposition proceedings in Australia and overseas. We hope that IP Australia has sent ACIP a ‘thank you’ note in recognition of all the additional work this will require! On 31 May 2011, Rwanda deposited its instrument of accession to the PCT, and on 31 August 2011, will become bound by the PCT. Consequently, any international application filed on or after 31 August 2011 will automatically include the designation of Rwanda. Also, because Rwanda will be bound by Chapter II of the PCT, it will automatically be elected in any demand for international preliminary examination filed in respect of an international application filed on or after 31 August 2011. Furthermore, nationals and residents of Rwanda will be entitled, as from 31 August 2011, to file international applications under the PCT. 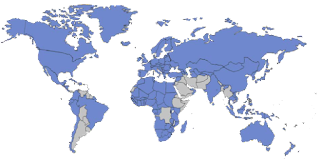 We believe that this brings the total count of PCT contracting states to 144, including Rwanda and Qatar (from 3 August 2011). If you own a patent, but you do not use the patented invention in a product or service, you are still entitled to enforce your patent. You are known in the world of patents and patent enforcement as a "non-practicing entity" or "NPE" -- or more rudely put, a "patent troll." This is true (although difficult to see what it has to do with this article). However 'trolls' are in the eye of the beholder. There are many legitimate NPE's, which are actively engaged in research and development of new technology, funded wholly or in-part from licensing of their inventions. These include public research institutions (such as universities and organisations such as Australia's CSIRO), and private companies such as Qualcomm and InterDigital.